Understand today's financial news in 3 minutes. For free. We’re designing the financial experience for our generation - starting with financial news that's quick to read, jargon-free, and approachable. Join the movement. Every week we write a broader review of the bigger trends in finance (and what they mean to you). 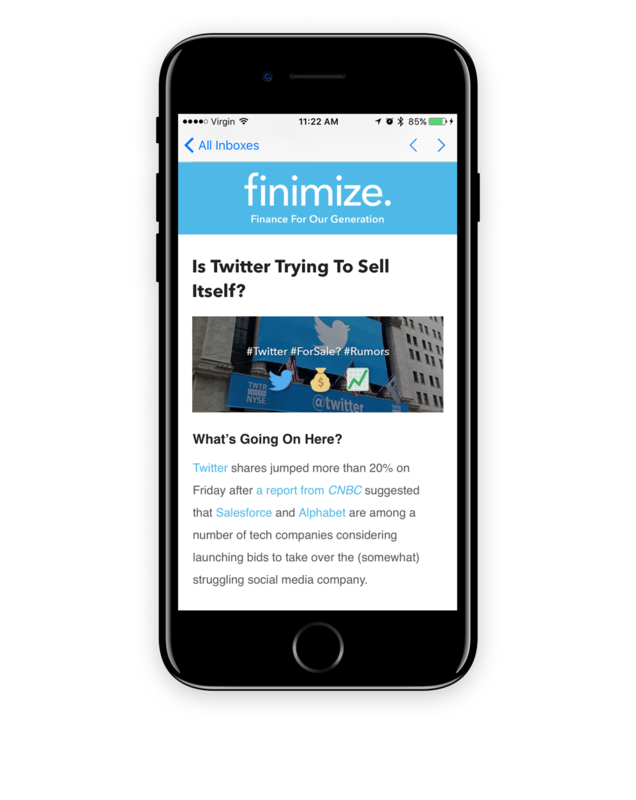 Sign up above and you'll get 3 months of free access to the Finimize Weekly Review*. Copyright 2018. *Weekly Review trial subject to change at any time.